DUBAI: Dubai Marina and Business Bay retained their status as investor hotspots as overall property transactions in Dubai totalled Dh132 billion in the first half of 2017. This was done through 35,571 deals, and the amount represents a significant gain from the Dh113 billion recorded in the first six months of 2016, based on data from Dubai Land Department released Sunday. Also, the Dh113 billion came from 28,251 transactions. The Land Department numbers represent properties and plots sold across Dubai and not just within the freehold zones. The first half 2017 numbers offer further proof that the pickup in demand seen, including the record Dh100-million villla deal, at the start of the year was more or less sustained throughout the six months. And, interestingly, the first half transactions have seen a fair share of properties being sold through the secondary market as well and not just rely principally on off-plan, according to a recent GCP-Reidin report. “Despite global economic pressures, Dubai has once again … driven renewed growth in the region,” Sultan Butti Bin Mejren, Director-General of the Land Department, said in a statement. There are other numbers that will give local developers reasons for confidence. There were 7,893 transactions that were financed through mortgages, valued at a combined Dh60 billion. And where there is increased mortgage-back deals happening, it can only mean that end user buyers are active in the market. Banks have also been steadily pumping in more mortgage liquidity into the marketplace. In a market update issued by the consultancy Cavendish Maxwell last week, it said that July has had the “highest amount of off-plan apartment transactions ever recorded since Dubai Land Department started sharing Oqood data with the public in 2012.” With four days left to go in July, there were 1,719 off-plan apartment transactions. The big question is will the pace — for off-plan and other types — be maintained in the second half of the year. For full year 2016, Dubai recorded Dh259 billion worth of property deals, with the second-half providing the upward mobility. 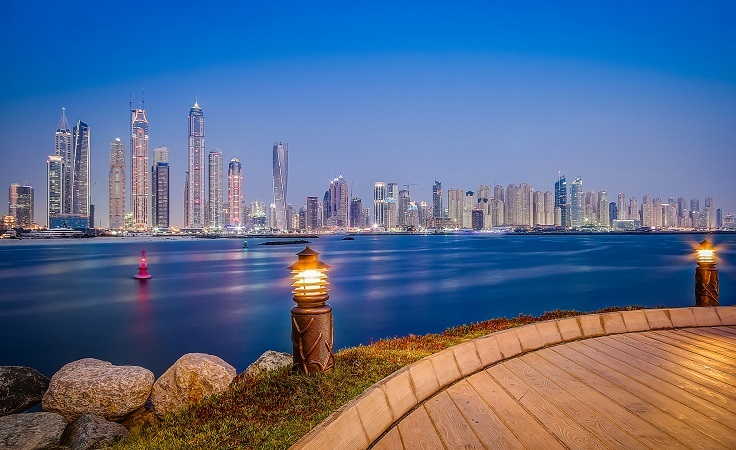 In the first six months, Dubai Marina and Business Bay were the runaway leaders in terms of investor picks, accounting for 2,529- and 2,146 transactions, while the Al Barsha South 4 neighbourhood had 2,001 deals, Jebel Ali 1 with 1,931 and Al Thaniya 5 with 1,501 transactions in fifth place. But in terms of sheer value, Palm Jumeirah reigned, with its transactions accounting for a sizeable Dh9.5 billion. Business Bay was placed second with Dh6.5 billion worth of transactions, and Dh5.8 billion for the Burj Khalifa and Dubai Marina. While Emirati investors ranked first in both the number and value of transactions — being involved in 4,510 transactions worth Dh15 billion — Saudi investors came in second with 1,936 transactions at Dh4 billion. In a significant boost for the local property market, the investments put in by Gulf nationals totalled Dh21.7 billion and 16 per cent higher over the same period in 2016. As for non-Gulf and non-Arab investors, there was little change in the investor nationality rankings. Indians, Pakistanis, the British, Chinese and Canadian nationals took the first five places, with 15,062 investors generating Dh28.6 billion. This is a 34 per cent increase in value terms compared to first half of last year. * According to Dubai Land Department data, land sales represented Dh91 billion from around 8,000 transactions, while deals involving entire buildings were 3,887 transactions for Dh10 billion. * In the first-half of 2017. 27,381 transactions were completed by 21,574 investors, generating Dh58 billion. Among them were deals involving 6,253 women investors and valued at Dh15 billion.